A North Texas-based developer with a history of building medical-related buildings is readying its latest project in the region, a $25 million medical center in Garland. The three-story, 95,000-square-foot building at 7217 Telecom Parkway — called the North Garland Medical Center — is being developed by Grapevine-based New Era Partners LLC, and is slated to open next year. 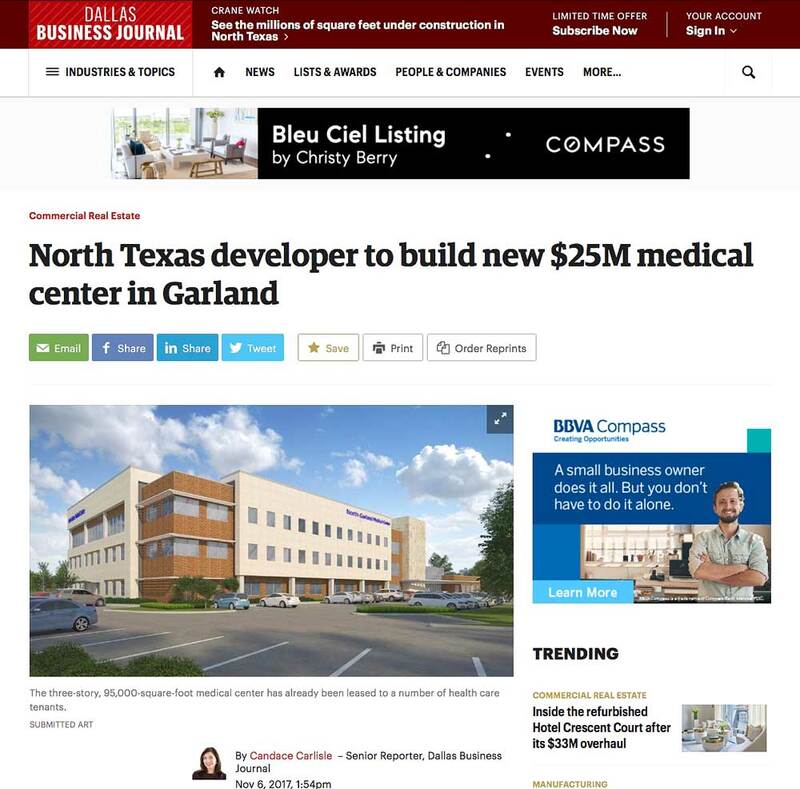 The North Garland Medical Center has already landed a number of new tenants, such as Family Medical Center Garland, Touchstone Imaging, Signature Medicine and Legacy Heart, among others. The developers expect to bring in medical specialities, such as radiology, cardiology, gastrology, obstetrics and family practice. The new medical center is expected to be fully operational in July 2018. It will help support a growing community, which has added more than 3,100 apartments and 112 new single-family homes to the nearby area, said David Gwin, the Garland’s director of economic development. New Era Partners, which has five divisions, including a medical division, also has plans to build a 175,000-square-foot facility in Flower Mound.